I have a quick tip to share with you today. 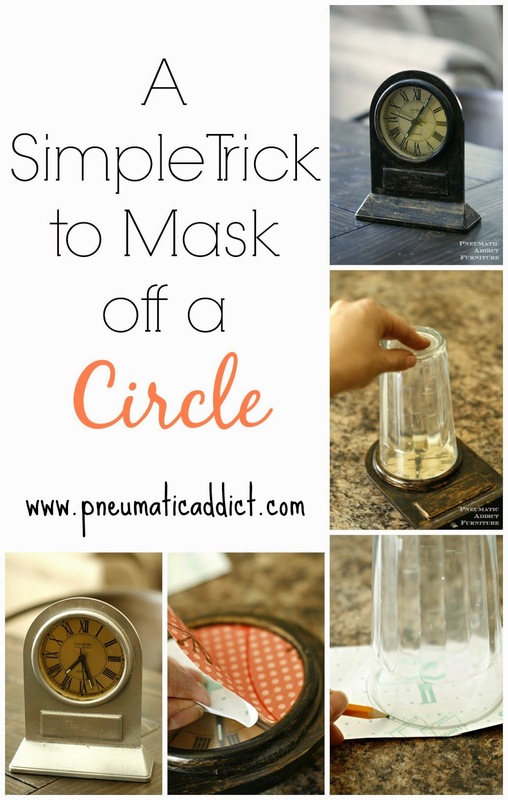 Ever try to mask off a circle using painter's tape? Yeah, its not fun. I came up with a little trick that works much better. 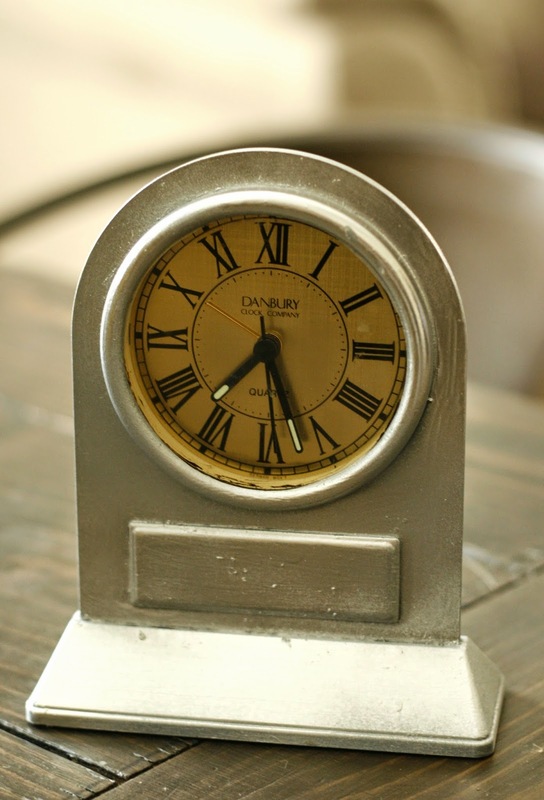 I have this little table clock that my mom "antiqued" several years ago. I decided it was time for a quick update. The first step is to determine the size of the circle. 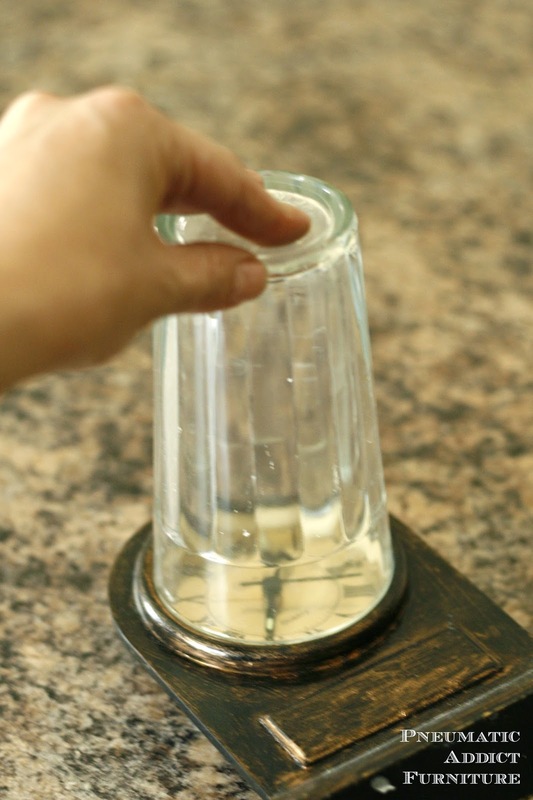 The best way to do this would be to use a compass, but if you don't have one, look around the house for something the same diameter. It will work fine. Now, here's the secret. Trace the circle on a piece of contact paper. The contact paper will take place of painter's tape. Pull back about 1/3 of the paper backing. 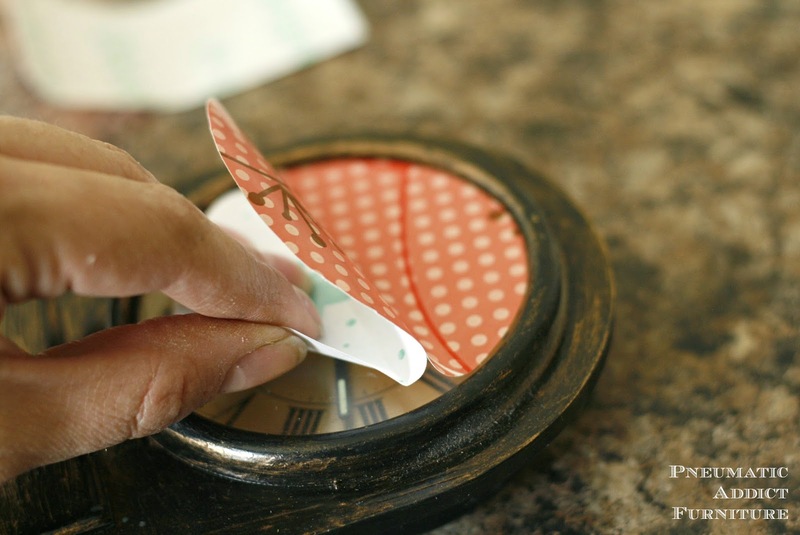 Starting along one edge, align the circle and pull the rest of the backing off as you smooth the contact paper down. Now, rub like crazy. Make sure all your edges are smoothed down and you don't have any gaps. Now you can spray or brush almost any coating without fear of bleeding. You can see in the photo that I still have some paint nibs that I need to sand, but the face is looking great. 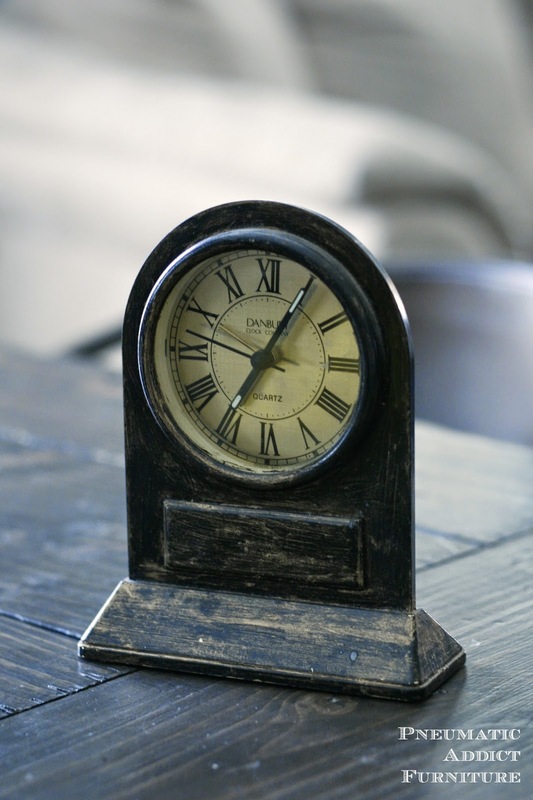 So do you have a mirror or clock around your house in need of an update? 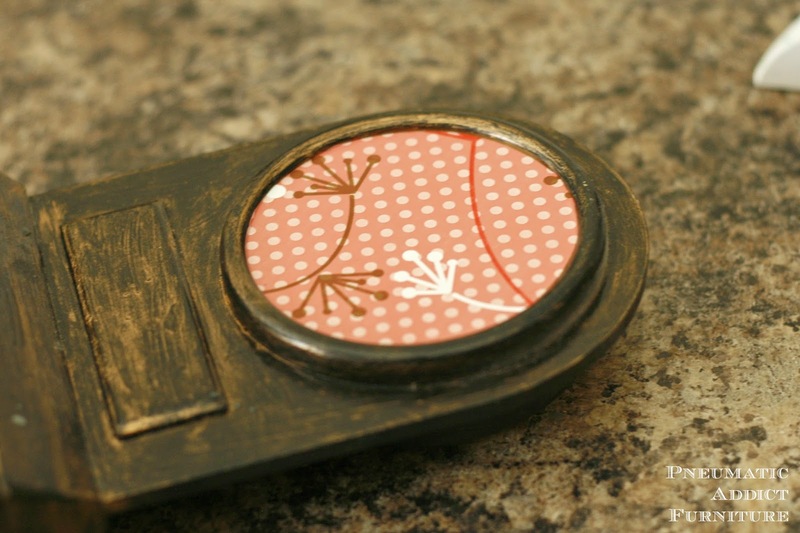 Dig up some contact paper, bust out some paint and voila! Very cool trick! Totally pinned! 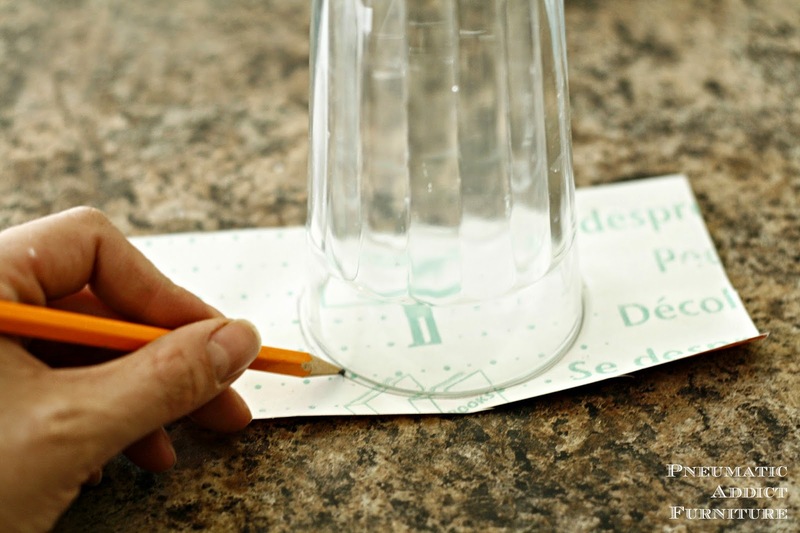 Using contact paper is genius! Such a great tip! This is one of those tips that make me slap my forehead and yell, "why didn't I think of that"???? I will be using this one often. A great tip! Thanks for sharing. 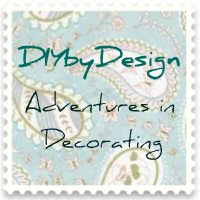 This is a great link to show a different approach: http://thriftydecorchick.blogspot.com/2014/04/updated-80s-light-fixture.html . Use painter's tape on the surface you want to mask off, pressing into the corners and right up to the edges, letting it overlap beyond the masked area. Then, using a box knife or, better yet, a craft razor knife (similar to this one: http://www.joann.com/fiskars-razor-knife/2765246.html#q=razor+knife&start=1 ), run the blade along the edge (in this case, the outer edge of the face of the clock). Now, just pull away the excess and you have the perfectly fitted masked covering. The advantage to this is that you can use this technique when the area to mask is irregular. If the area were large, I can see where contact paper might be a good alternative, but it would still be difficult working it into the cracks. You could use contact paper (or even brown paper) for the interior area, finishing up with tape on the outer edges to secure the paper and create your perfectly masked edge (i.e., to mask glass door fronts before spraying the wood frames). The advantage to painter's tape is most have it on hand, the strips can be overlapped if necessary, it molds into the corners, and small pieces can be added to the hard-to-cover areas (sharp inside corners, etc.). Just another unique approach to add to yours. Thanks for the post.